We are proud to announce the release of appleseed 2.0.0-beta, the eleventh release of our beta program and the 34th public release since the first alpha in July 2010. This release is the fruit of relentless design, development, testing and coordination efforts by the appleseed team, an international group of volunteers dedicated to building state-of-the-art open source rendering technology. Make sure to read the core engine release notes for the full illustrated story! We have redoubled our efforts over the past year to provide high-quality native integrations of appleseed into leading DCC apps. This release continues the trend and integrations now expose the majority of the features available in the core engine. Thanks to a major re-architecture around appleseed’s Python bindings, the Blender plugin now offers interactive rendering, AOV support and increased stability and performance. The Autodesk® 3ds Max® plugin now features volumetric rendering, denoising, shading overrides, configurable pixel filtering and per ray-type bounce limits. The 3ds Max plugin is now available for 3ds Max 2016, 2017, 2018 and 2019. The Autodesk® Maya® plugin now features AOV support, support for color and curve ramps, render stamp support and a redesigned Render Settings user interface. In addition, Maya 2018 is now supported. Kevin Masson implemented a new state-of-the-art adaptive tile sampler that provides much better performance than the former adaptive pixel sampler (which is deprecated in this release). Kevin Masson has contributed several other exciting features before, during and after the program; they will be available in the next release. 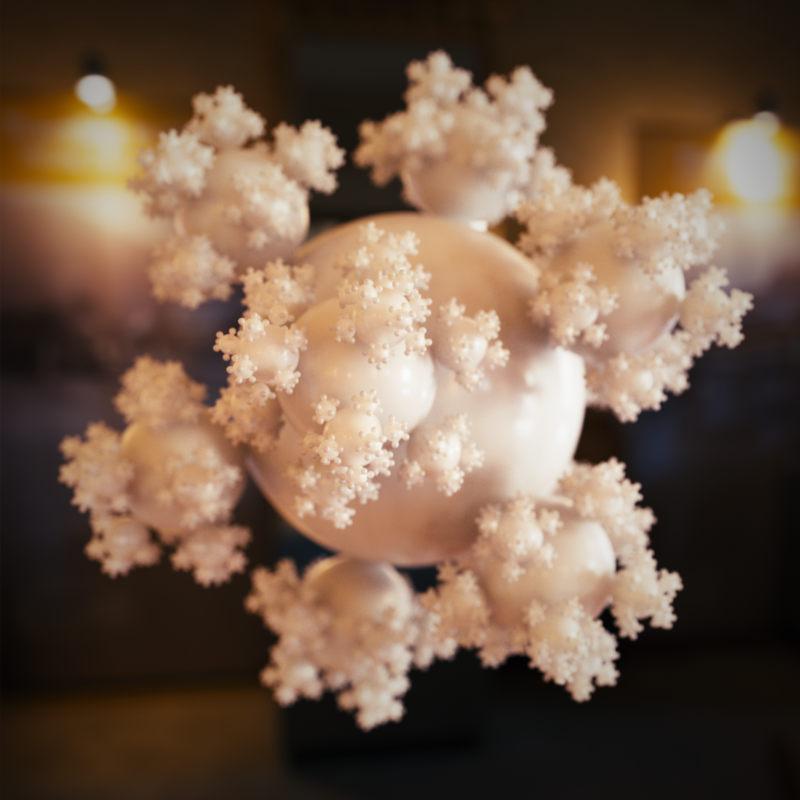 Fedor Matantsev implemented a new ray tracing backend based on Embree, a highly optimized ray tracing library by Intel®. This new backend is still experimental. It should be faster and more robust in the next release of appleseed. Girish Ramesh continued the work started by his predecessor, Srinath Ravichandran, on hair and curve rendering, with many improvements to curve representation, storage and intersection. While some of these improvements are included in this release, the work to provide a complete workflow around curve rendering is still ongoing. We greatly improved our random-walk subsurface scattering implementation. The render at the beginning of this post is a fine illustration of the results that can be achieved using appleseed’s random-walk SSS. We took our first steps into the world of non-photorealistic rendering (NPR) with an OSL shader implementing cartoon shading and another one implementing contour rendering. We continued our work on visualization tools, with rectangular selection of light paths, false colors, relative luminance isolines, etc. This is a mere glance at what’s new in this release. The illustrated core engine release notes and the plugins’ release notes contain a lot more details. Please give appleseed and the plugins a try and let us know what works, what doesn’t and how we can make appleseed better and more useful to you. Feel free to reach out on our forum, on Discord or on Twitter. We are proud to announce the release of appleseed 1.9.0-beta, the tenth release of our beta program and the 33rd public release since the first alpha in July 2010. Make sure to read the main release notes for the full illustrated story! This release is the result of relentless design, development, testing and coordination efforts by the appleseed team, an international group of volunteers dedicated to building state-of-the-art open source rendering technology. A renderer is of no use without easy-to-use integrations into digital content creation applications, so for the past couple years we’ve been dedicating a sizable chunk of our resources to develop an ecosystem of high-quality plugins for 3ds Max, Maya, Blender and Gaffer. This release continues the trend and introduces major improvements to the 3ds Max and Blender plugins. Please check out the release notes of the individual plugins for details. One major new feature of the 3ds Max and Blender plugins is full native support for appleseed’s high-quality OSL shaders. This means that, starting with this release, all plugins now expose the same set of OSL materials, creating exciting new opportunities for future releases such as seamless exchange of materials and even complete scenes between plugins. 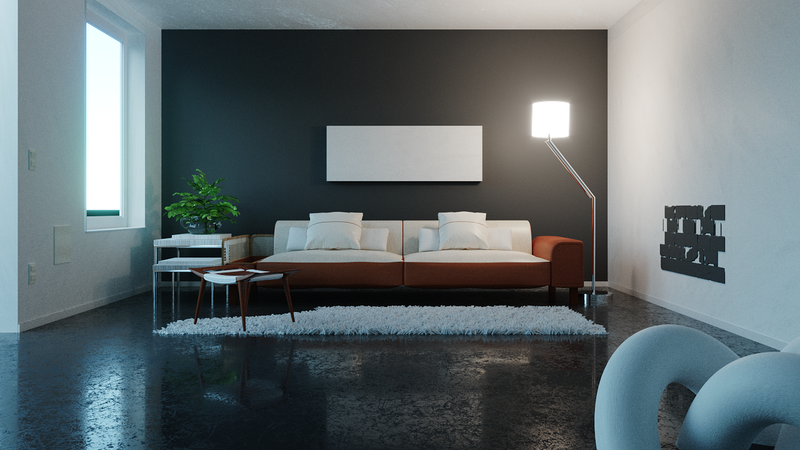 A major new feature introduced in this release is the integration of BCD, a powerful new denoiser specifically designed to remove noise from final frame renders. Another important feature of this release is a new light paths capture, visualization and export system that allows to explore interactively and in great details how light scatters in a scene. This feature is part of a greater industrial project between the appleseed team and a major international group. We’ve made a short video to illustrate this feature, make sure to check it out: Light Path Capture on the Hubble Space Satellite. We’ve also kickstarted an effort to lower the barrier to entry to use appleseed by removing superfluous parameters, by adopting better defaults and by renaming parameters and settings to make their effect more intuitive. We’re at the beginning of this effort and there’s a lot more to do, but that’s the direction we’re following. As usual, please give appleseed and the plugins a try and let us know what works, what doesn’t and how we can make appleseed better and more useful to you. Feel free to reach out on our forum, on Discord or via Twitter. We just released appleseed 1.8.1-beta, the ninth release of our beta program and the 32nd release since the first alpha in July 2010. Finally, the core renderer and associated tools received a number of important bug fixes and improvements as well as the introduction of energy compensation in the glossy and metal BRDFs. As usual, please give appleseed and the plugins a try and let us know what works, what doesn’t and how we can make appleseed better and more useful to you. Feel free to reach out on our users forum or via Twitter. We’re proud to announce the release of appleseed 1.8.0-beta, the eighth release of our beta program and the 31st release since the first alpha in July 2010. Please head over to the release notes for the full illustrated story! appleseed’s development team continues to expand and the speed of development increases. We are now able to tackle many large developments at once. The result is that appleseed 1.8.0-beta is an enormous release. appleseed itself received many core improvements and extensions, including partial support for participating media, a completely rewritten AOV subsystem, a faster and more precise color pipeline, support for procedural objects, procedural assemblies and archive assemblies, and a lot more. appleseed.studio also received a great deal of attention with OpenColorIO support for applying output transforms to renders, a new Python console allowing scripting right from appleseed.studio with immediate feedback on the scene, and support for Python plugins. The next release will see many enhancements and refinements in this area, in particular the ability for Python plugins to extend appleseed.studio’s user interface. This release also introduces a brand new Autodesk® Maya® plugin with support for nearly all Maya’s Hypershade nodes, Disney and glass materials, appleseed’s new Standard Surface material and many other features. 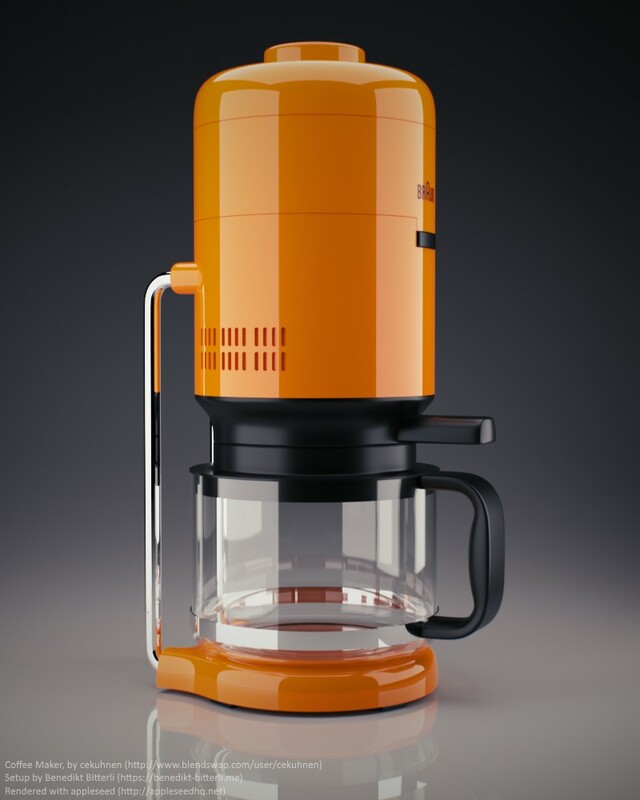 With new team members came a renewed motivation to dust off, fix and update our Blender plugin. We’re thrilled to officially support Blender again! Last but not least, our Autodesk® 3ds Max® plugin also received its share of improvements, including limited support for Activeshade rendering, Physical Camera support, a new mode to use native 3ds Max maps with appleseed and several other refinements and fixes. This is the first official release of appleseed featuring the amazing work of our Google Summer of Code 2017 students Petra, Gleb and Artem. We’d like to congratulate them once more for the incredible work they produced throughout the summer and we’re looking forward to their future contributions to the project. Writing a production renderer from scratch is a wonderful hobby, but a truly herculean team effort. We hope that you’ll like what we built and that you’ll give it a try. We welcome all forms of feedback, positive or negative. Feel free to reach out to us on our users forum or via Twitter. Eight years in, and undoubtedly many more to go! We are pleased to announce the release of appleseed 1.7.0-beta, the seventh release of our beta program and the 30th release overall. Please check out the release notes for download links and the full list of changes. This release is the result of the hard and relentless work of an amazing team. I (Franz) am deeply proud as well as grateful for the consistent high quality work produced every day. It is truly an honor to work with you guys! We would like to use this opportunity to congratulate and thank our Google Summer of Code 2017 students Artem Bishev, Petra Gospodnetic and Gleb Mishchenko who all three contributed significant features before even being accepted into the program. We are also grateful to the GSoC candidates that we unfortunately could not mentor this year but who nevertheless contributed to this release: Aytek Aman, Andreea Dincu, Andrei Ivashchenko, Nabil Miri, Kutay Macit, Aakash Praliya and Animesh Tewari. 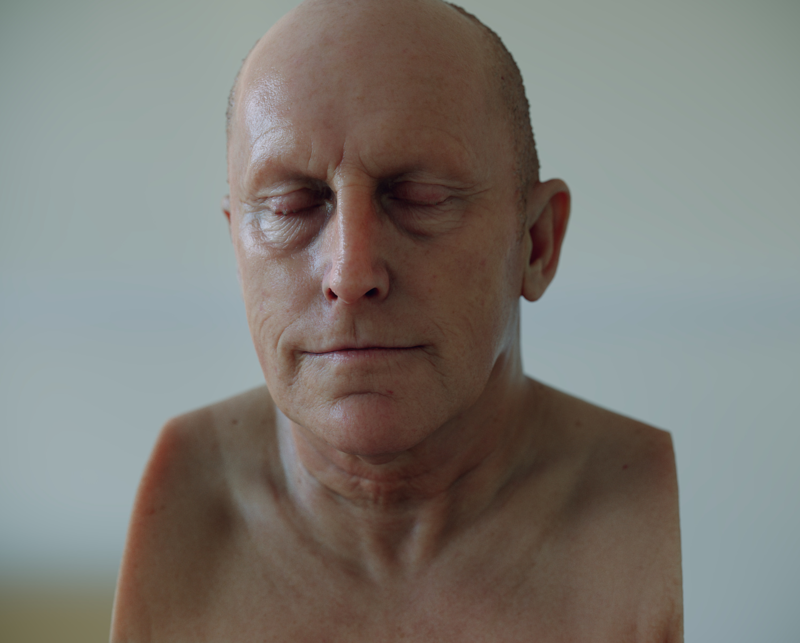 With this release, we made considerable efforts to further refine our ray traced subsurface scattering implementation. The results are now more accurate and consistent. We also took this opportunity to add support for SSS sets that allow merging or separating translucent objects. Furthermore, we modified the Gaussian BSSRDF to expose the same parameters as other BSSRDF models; this makes finding the right BSSRDF model much easier. Finally, we added Fresnel weight parameters to all BSSRDF models and we exposed the Gaussian BSSRDF to OSL. We have significantly enriched our OSL shader library. In particular, we are nearing completion on a massive effort to reimplement Maya shading nodes as OSL shaders. We will give a lot more details about this work when we announce the first release (soon!) 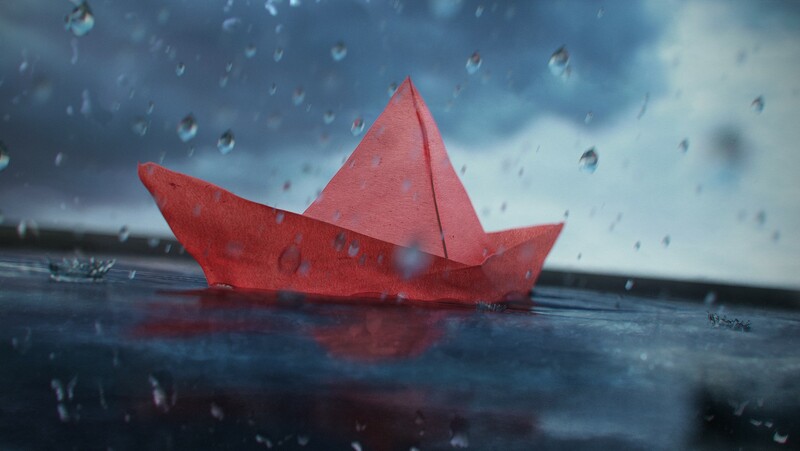 of appleseed-maya, our new native plugin for Autodesk® Maya®. The path tracer now offers additional performance controls: we added distinct diffuse/glossy/specular bounce limits in addition to the existing global limit, and we introduced a Low Light Threshold parameter that allows to skip low-contributing light samples (and thus to eliminate costly shadow rays) without introducing bias. This release brings many other features such as a new physically-based plastic BRDF, a completely redesigned AOV mechanism, initial support for archive assemblies, support for many more texture formats thanks to the full switch to OpenImageIO for texture loading, and many more improvements, refinements, fixes and cleanups to appleseed core, appleseed.studio and appleseed.python. Finally, we are also pleased to announce the release of appleseed-max 0.4.5, our native plugin for Autodesk® 3ds Max® 2015/2016/2017. This release brings a host of new features such as environment map support, appleseed object properties (as an Object Modifier), support for render regions, and several bug fixes and improvements. Many thanks to Sergo Pogosyan for the hard work on the plugin! In this video, we create a material from scratch and assign it to pieces of a 72 million triangles model, within appleseed.studio, appleseed's standalone lookdev application. Our Discord server or the user forum are the best places for most questions and inquiries. You can also contact us privately at [email protected] but you may not get an answer as quickly as on Discord or via the forum.